What are the indicators that its fake? Presumably there should be a hologram visible where the UV light is being pointed on the warranty card. No, no hologram. The illustrator is showing us that the card reacts to a UV torch, as does a genuine card. I am pleased to say that for other reasons this card may instantly be dismissed as fake. Tell you how? Sorry, no. I understood that the warranty card is like it should be or very close. Apparently the movement was the only clear indicator that it was fake. 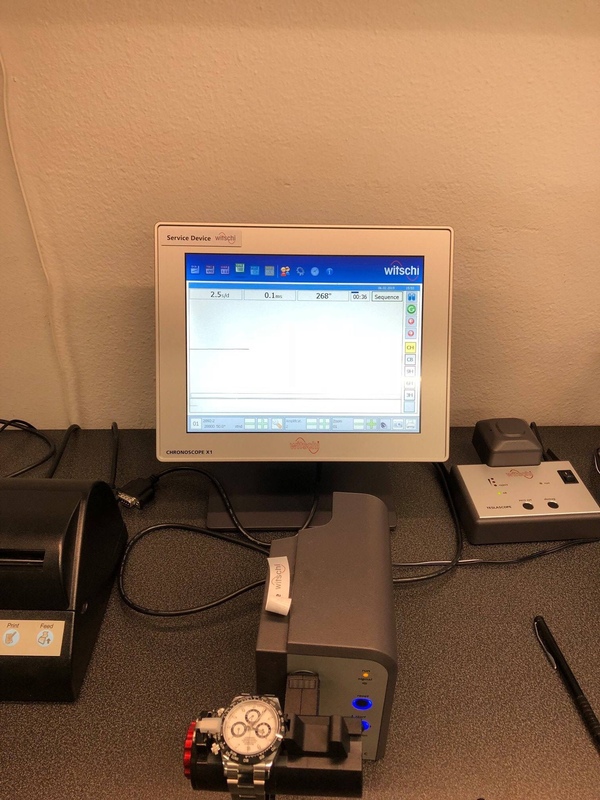 So there is a clear reason to know why the card id fake. Glad to know that. Unfortunately I think that the card would fool 99% of individuals and probably 80% of pre-owned dealers. Last edited by EJL25; 6th February 2019 at 16:58. Understood and makes sense. Can the same be said of the watch? Or is the card the main / initial indicator? As someone who was trained on 4130's even the movement is a good fake. Obviously to the familiar eye the finish of the movement is poor, but the plates are the right size and shape, the mechanics are the same too. They have reverse engineered the movement, just missing out the nice details, like end shake adjustment, free sprung balance etc. Watch itself passable at a glance but upon close inspection, fail. Some in the trade will look and learn. Many others will bury their head in the sand.....and pay the price. Last edited by Haywood_Milton; 7th February 2019 at 10:59. Poppycock. It may have been the only thing the observer was able to identify, which is a different matter. Hand cream or greater experience in Rolex watches? It is unclear for which the need is more pressing. It feels increasingly like the only place to safely buy a used Rolex is from Haywood's shop! Great work HM for providing yet another reason not to buy from anyone unless they have rock solid reputation. There is, of course, a philosophical issue here; what if some fakes fool even the experts....because then we really are in trouble. It might have already happened. How would anyone know? I guess check the serial number with Rolex, if they'll do that. Or insist on a service before buying? HM, are these seized items? Seized during importation by Customs? As someone who purchased from you 6 months ago, I am glad that it has landed on your desk for a forgery report. …Hand cream or greater experience in Rolex watches? It is unclear for which the need is more pressing. I’m not sure I get the joke, but I’m laughing all the same. I always enjoy threads that you participate in. The used market is a absolute minefield. Given the quality of the fakes I'd want to be 100% certain the retailer I was buying from could spot this stuff ... that means there are only a few used retailers in the UK i would trust. Is there a list somewhere of known fake serials? Will be helpful in at a minimum prevent a purchase. I've spotted a fake rolex bracelet once on eBay by just googling the serial of the watch it apparently came off. Surely you jest, sir. The minute such a thing were published, it would be invalid. Thats the conclusion I've come to. 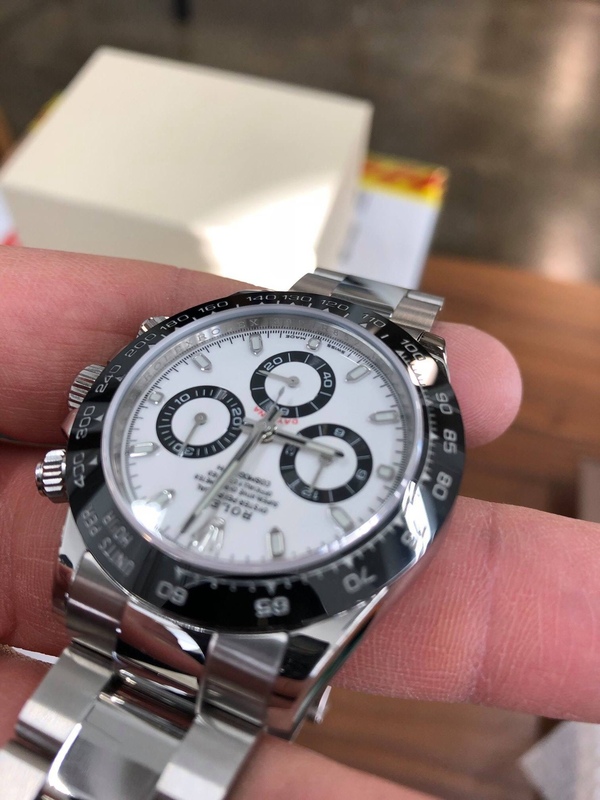 Paying RRP for a fake would be horrendous enough but imagine paying the grey market / pre-owned price for a fake Daytona. That would really rub salt in the wounds. Surely the best way would be to see if the glass has the crown etched on? Is it etched? It's been copied for some years now. The latest ones are exceptionally good and I would expect to fool most people. In any event, this identifies only one component. Those who imagine that verifying one part proves the whole is real may find themselves with a lot of part-fake watches. There's a whole section on the current warranty cards which would have helped him smell that instantly. They're going to become a more sinister problem for the unwary, as the cards are available to order for about £30 and the unscrupulous will start to put them not only with SuperFakes, but also with genuine watches that do not have their original card. This could be because they are stolen, or simply to add value where they are missing. Last edited by Haywood_Milton; 7th February 2019 at 11:04. The sensible route would be, buy new from AD or only from a reputable second hand seller who can spot these things. Other than Miltons who else can spot them? In your hypothetical scenario of perfect replicas, the problem would quickly come to light. 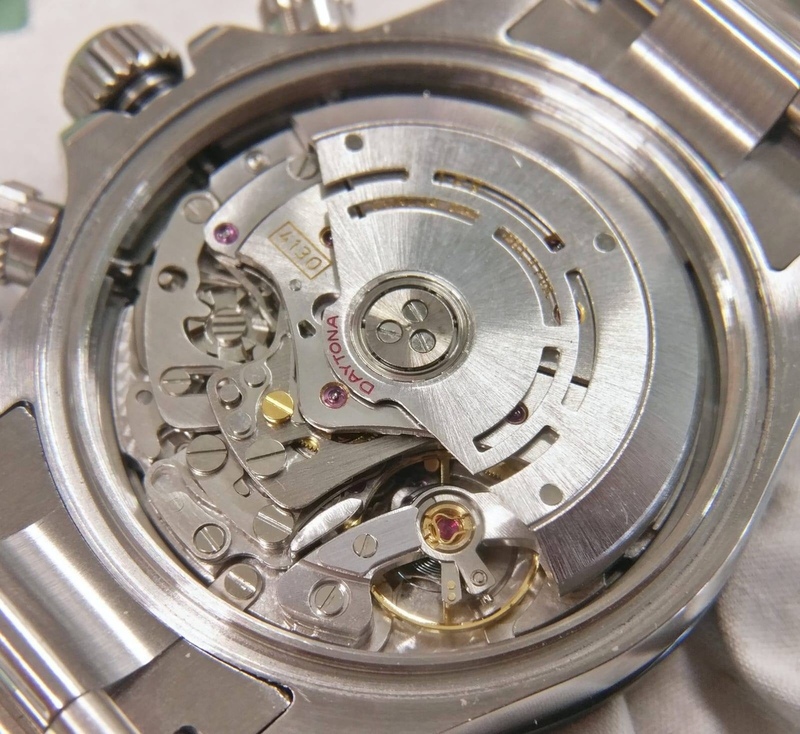 When a watch bearing the same case number was taken in for service not long after another had been serviced in the same country or elsewhere, questions would be raised. "We just serviced this watch in London. Why does it bear no service marks? We fitted a new rotor, but this one is clearly damaged. The client declined to replace the gouged case-back, but this one's perfect," and so on. As it happens, I do not think the scenario likely. There are so many naive / careless individual and trade buyers in the world that the baddies need to do only 75% of the job to fool 90%+ of the total market, which would make them quite enough money. The time and expense of doing the job perfectly, if indeed it could be done, would make it one of diminishing returns. Last edited by Haywood_Milton; 7th February 2019 at 11:17. 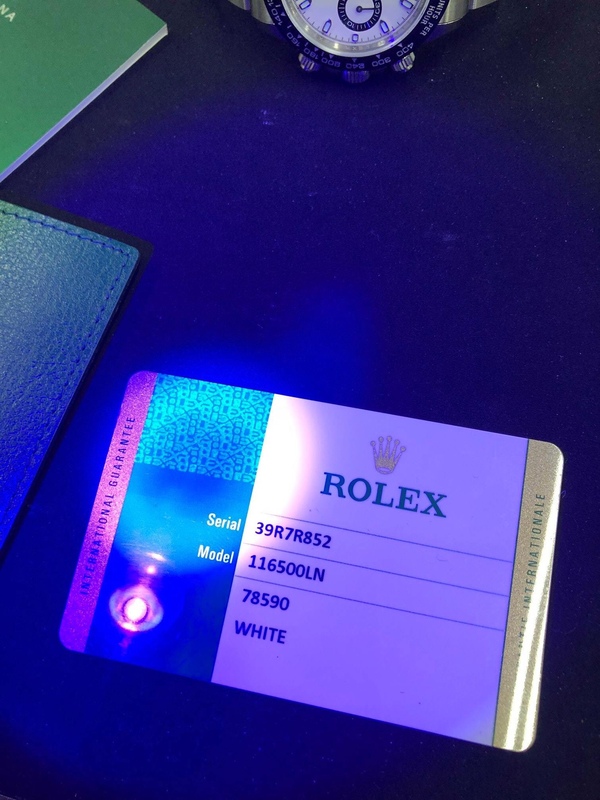 Do you think AD’s keeping the warranty cards may actually compound this problem, where people buy a “hooky” card just so they can sell the watch into grey? Last edited by Haywood_Milton; 7th February 2019 at 11:31. Yes, and at this moment I think very few in the trade are even switched on to the risk, let alone armed to detect it. As for private buyers, there will be tears in due course. Only in the last year or two I remember receiving a list of items stolen from a jeweller. Among them was a Rolex Submariner which had been on display in their window, whose case number I was able to confirm showed it to be fake. My mixed feelings about the jeweller's on-going vulnerability were balanced by my amusement at the thought of the womble in the balaclava trying to sell it in due course. No, these are part of a current case about which I will be delighted to report in due course. It's like the Trip Advisor case, but with more Laurel and Hardy. 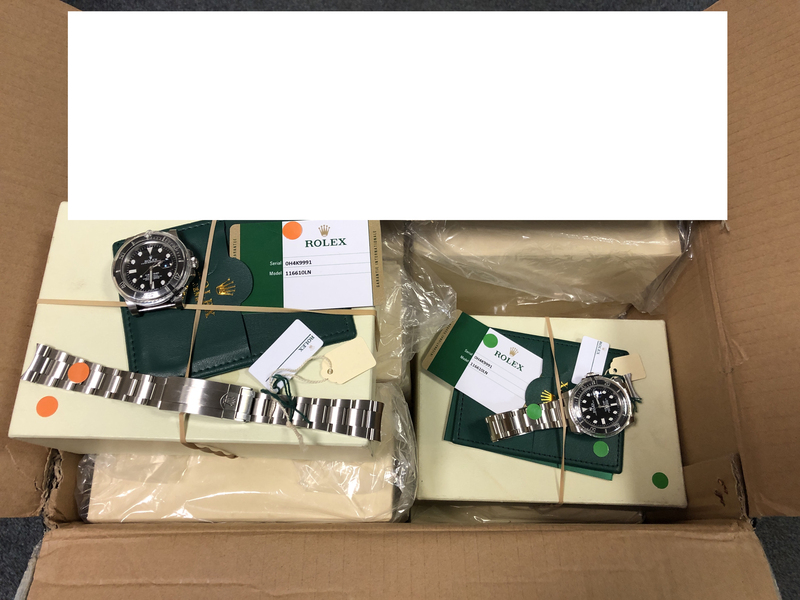 I don't have any reason to doubt authenticity of my Rolexes bought on secondary market (none of them is a current model except a DSSD bought from a friend right after release ). But, things like these make you wonder. I would be very hesitant to buy a Rolex from a watch forum nowadays. Even if seller is not trying to deceive, he himself might be under the illusion that he is selling a genuine Rolex. It's not going to take long for that information to get out though is it? Given the substantial profits to be made from SuperFakes then it's well worth slipping £10k to a contact with access to a copy. oh man, sounds like we don't stand a chance against the fakes ! On a positive note it can only be good for your business Haywood with people getting the real mccoy from yourself. Doesn't really help me to be honest. 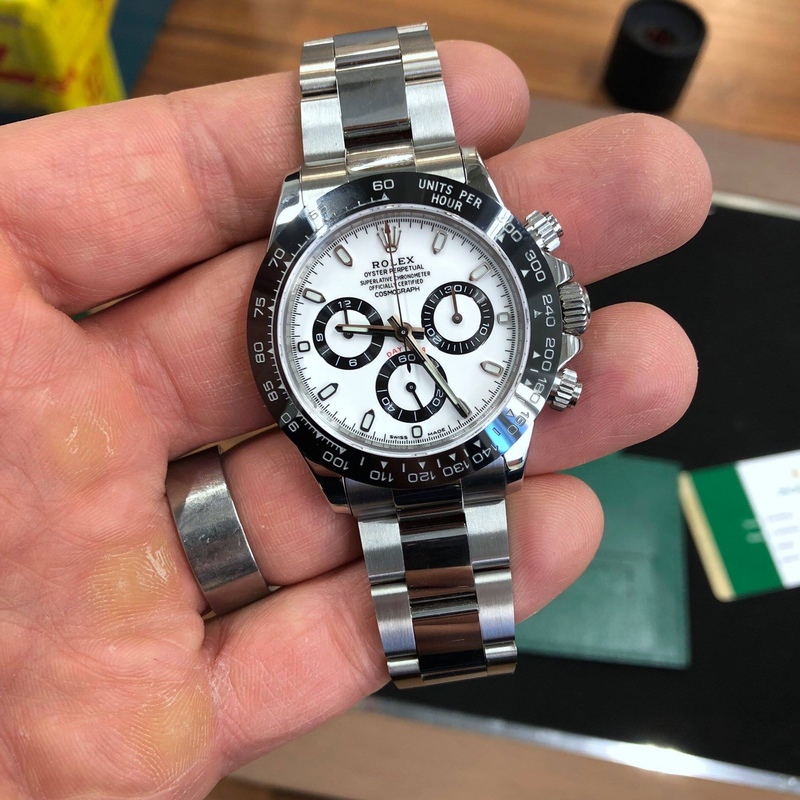 For some time my sales have been limited by the number of watches I can source and the amount of time I can devote to the Rolex, which make up only about 10% of my business, rather than the number of buyers looking for them. I suppose this is the case with . . .
Last edited by Raffe; 7th February 2019 at 13:05. Not critical, but please edit. I can't confirm or deny, but what is posted in the draft thread some days before should perhaps stay in the draft thread. Last edited by Haywood_Milton; 7th February 2019 at 13:24. With the level of fakes I'd be very cautious with buying a used Rolex from the internet. I had my eye on an Explorer II Polar edition, this is giving me pause in buying one. The rule is simple, trust only an AD, Rolex or an accredited Rolex agent/repairer to specify if a watch is genuine. 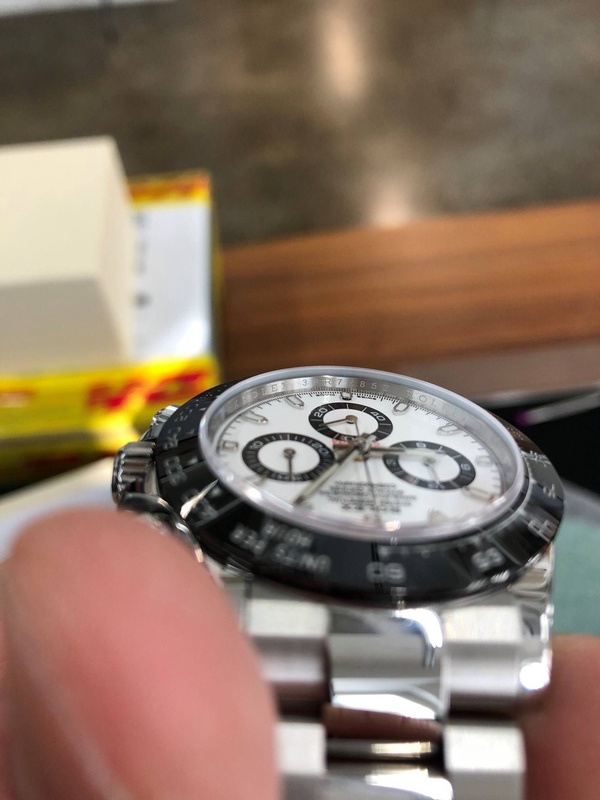 Every watch I have ever bought as gone straight to Rolex within 24 hours of being purchased and if you do buy private, do it in a bank where there are dozens of CCTVs and let the bank cashier do the transaction. Also get the wife to take a covert pic on her phone of the car reg or whatever whilst you are doing the deal. If I ever did sell a Rolex, I would not expect anyone to trust me because I trust no one in return. I bet 99% of us are incapable of being able to put their hand on their heart and declare if a watch and its documents are genuine or not. Also forget about buying the seller, he may even have been duped himself. So you wouldn’t trust Haywood Milton? Not until I met him and had a chat etc, it's nothing personal, just business. However he seems to be up there, so probably yes. However I don't trust you and you would be a mug to trust me. TBH anyone who accepts that as a Genuine 116500 shouldn't be trading in watches. I do hope the Finnish dealer didn't accept it. There are so many issues with the dial alone, let alone opening it to check the movement. I took my Honda Civic in for a service to the local main agent last week. Did I trust them, yes I did but I suppose they are not infallible. I do trust main agents with a workshop verified by Rolex - am I being naïve ? On a scale of 1 - 10? On the face of it, that seems quite harsh - but in reality it's probably quite right. With main agents - who is certifying anything, the watchmaker or just some random shop staff. I wouldn't trust staff in a Rolex AD to know a real watch from a fake. I have a couple of experiences where the shop staff have been very snooty, once to me and once to a friend taking in his Rolex DD for a service - on both occasions the 'assistant' used something long the lines of "well first we will have to assess whether or not its a genuine Rolex" I am damn sure she would not have been able to tell a Hong Kong Special from any genuine watch in stock. Hopefully things have improved. Last edited by Omegamanic; 8th February 2019 at 13:53.